If erverything has worked like Gerry and Silvia Anderson had planned, SPACE 1999 would have been a spin-off from the (1971-72 aired) series UFO. 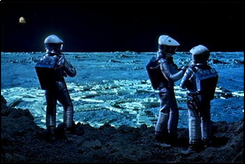 Since the episodes of UFO which took place on the moons base, attracted the most attention of the viewers, Gerry Anderson decided that the setting for the new series UFO2 should also be placed there. The whole S.H.A.D.O. 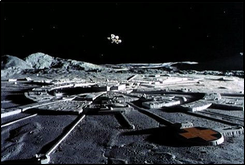 organisation including Commander Straker had to move to the newly constructed "Moon City". He and his crew got the mission to defend the earth from any alien attackforce with the also newly constructed Eagle warships and their laserguns. 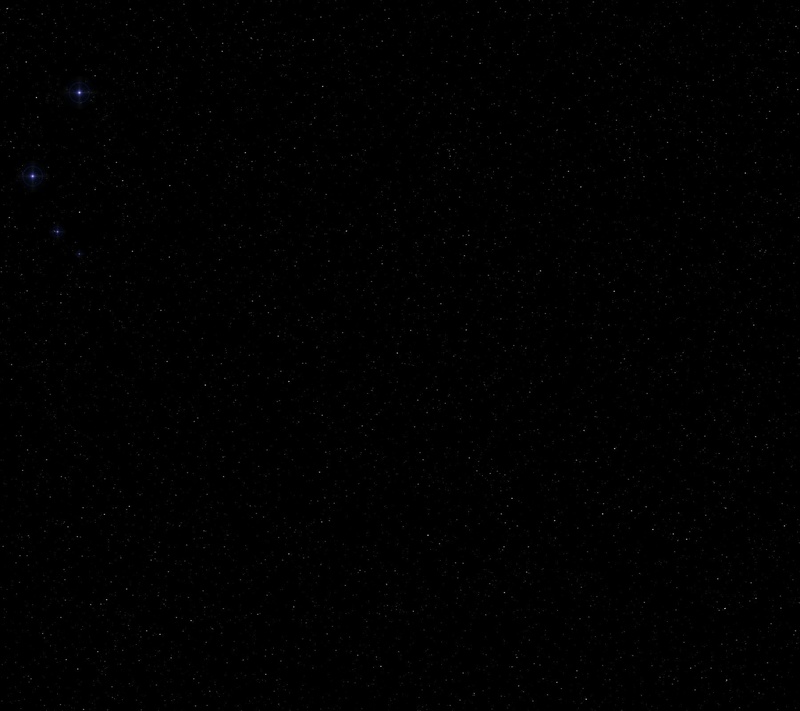 The events of the new series would have taken place 19 years after the first and only UFO season. And since the story of UFO took place in 1980 the new series name changed from UFO2 to UFO: 1999! It was clear from the beginning that the series had to stand it's ground on the american market too, to be successful. The New York based head office of the production company ITC demanded that the new series should have a more spectacular approach than it's predecessor. So, the Andersons presented the idea to hurl the moon and it's crew into unknown space as the outcome of a devastating alien attack. Shortly after the main cast have been informed that the series will most likely continue the unforeseen occured. In it's first season the series UFO lead the ratings for more than 17 weeks. 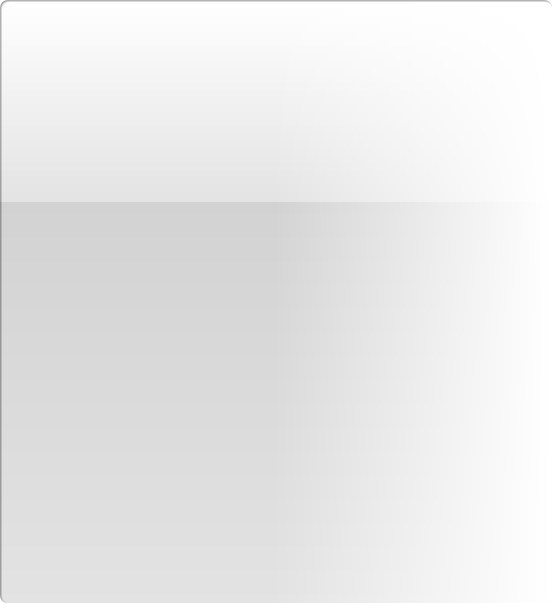 But the interest of the viewers began to decrease shortly after that. And the american investor CBS abandoned the project, in fear the very expensive show might fail. 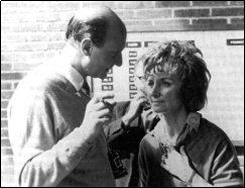 Gerry and Sylvia Anderson. 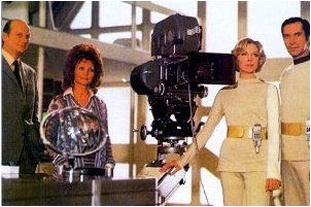 The creators of Space 1999. Why waste all the energy placed into the spin-off for UFO? Anderson succeded in convincing the producers to continue with his project presuming some major changes in story and cast in order to create a complete new series. The Andersons renamed their Project to SPACE JOURNEY: 1999 an began writing on a script for the pilot called "Zero-G" in Spring 1973. Moon City was no longer a military base but a civilian science base. Ed Bishops chraracter was replaced by the new Commander Steve Maddox. In this idea, the gravitation of the moon should be reduced to zero as a result of an alien attack. After that, the moon was destined to break away from the earth orbit. ITC hoped to gain the american market with that new idea. And to point up their position they demanded to hire an american script editor (Geroge Bellak). But Bellack left the series shortly he edited the Anderson's script for the pilot. The series story consultant Christopher Penfold hired another american for this position. So Edward di Lorenzo from the US and the irish poet Johnny Byrne where added to the show. 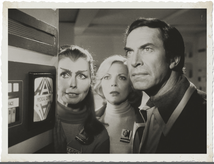 After a few more changes like renaming the Moon City to Moonbase Alpha or Commander Maddox to John Koenig the show got it's final title... SPACE: 1999. These two pictures compare the two moon cities together. Alpha and it's unofficial also ring shaped predecessor from the 1969 Stanley Kubrik movie 2001. It's no wonder that there's a resemblance. The designer Brian Johnson of Space 1999 worked on 2001 before. Production started on Novenber 11th 1973 at Pinewood Studios on Stage M. With a budget of more than 3 million £ SPACE: 1999 was the most expensive television series ever at that time. Another investor was the italian producer RIA. Therefore some italian actors were casted in several roles. From left to right: Professor Victor Bergman (sitting), Captain Alan Carter, Dr. Helena Russel, Commander John Koenig, Paul Morrow (sitting), Sandra Benes and computer specialist David Kano. Martin Landau, Barbara Bain and the Andersons on set. I think SPACE 1999 as a british science fiction series from the 70s is the best they ever did for television, including UFO and Dr. WHO. And the show can also rival with everything the americans did at the same time. Even now, at the beginning of the 3rd millenia the series is still one of the best I've ever seen. An evergreen in television entertainment. Of course there were a lot of scientific mistakes and believe it or not, the german dubbing even added some more to those that were already there. But I can't let go of it and decided to create my own site for the show. the whole series. To get back to that wonderful world of Mondbasis Alpha 1 (the german title of the show) it's characters, stories and fantastic design. Loyalty is better than logic! Hope is better than despair! Creation is better than destruction!